Once seemingly left for dead after a 2007 fire, the Fuhrman's Cider Mill-Bakery-General Store was resurrected in 2010 at its current Summit Township location. In addition to the famous apple cider the multi-hyphenate has been producing for over a century, the space hosts a bevy of other goodies. I was too busy to be "basic" this past October and missed all the stereotypical fall festivities around town. I always thought of Fuhrman's Cider Mill-Bakery-General Store as a fall-centric destination and wasn't sure if they were open past Halloween. Much to my delight, not only do they stay open all year, but they also sell donuts (and a whole bunch of other stuff that's great to gift yourself this season). 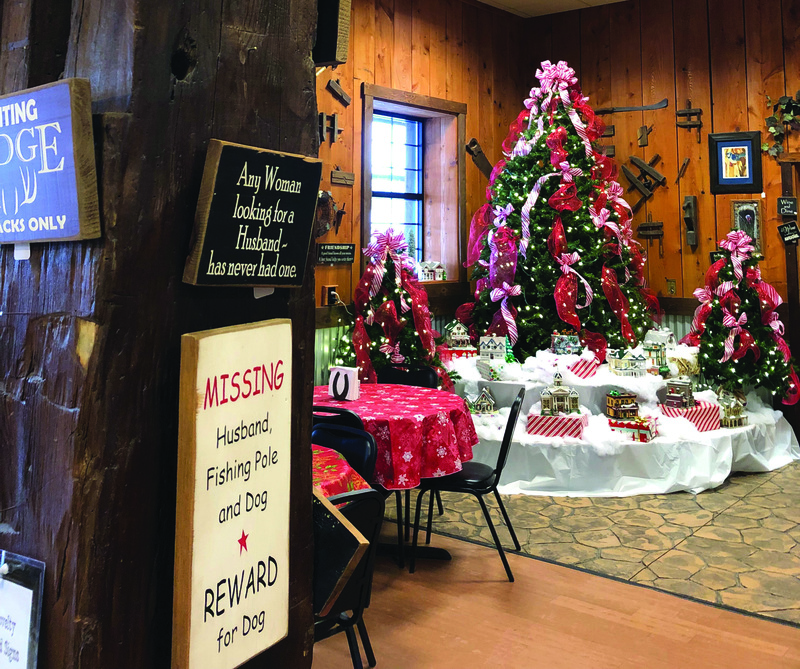 The store's name doesn't lie — it's a general store with cider and a bakery — but it also has a country look that was punctuated with Sawyer Brown's "Some Girls Do" playing throughout the store when I walked through the doors. I perused the sugar-filled display cases and contemplated if I should shun my instincts of buying these delicious treats and purchase fruit instead from their enticing apple display. I decided today wasn't the day to turn a new leaf and headed towards the bakery counter. While I waited to place my order at the counter, I realized they offer a treasure trove of Erie-made specialties. 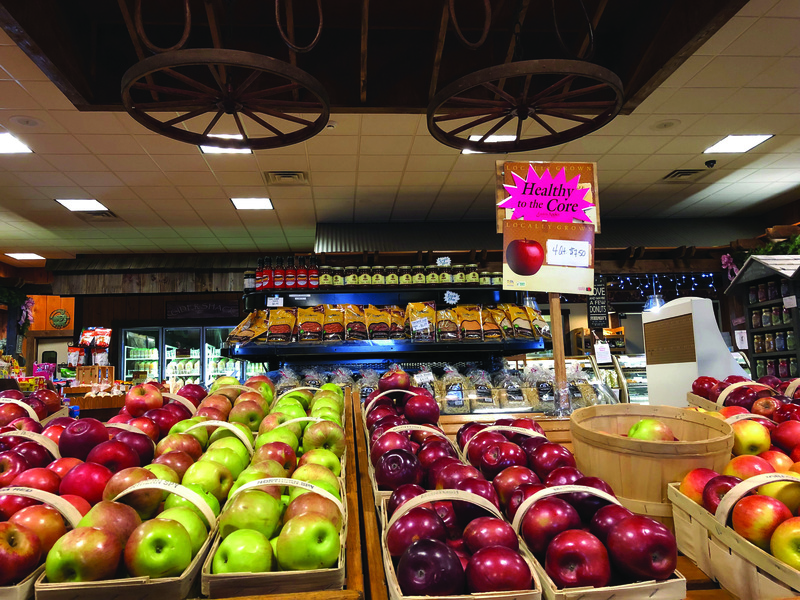 Their sales floor offers Smith's products (beyond just hot dogs), Chuck & Ginny's Spaghetti Sauce, and of course Fuhrman's own apple cider made from Shultz Farm apples. Erieites crave these treats, making it a horror to think that Fuhrman's cider almost became extinct when a fire destroyed their mill in 2007. After 110 years of cider making at this facility, it seemed their smooth, crisp apple drink would be no more after attempting to reopen the mill for three years at the old location. Then, a group of private citizens called the 8270 Group took over and opened the current space on upper Peach Street to house the new mill, thus saving the Fuhrman's tradition for Erie residents and visitors. Thankfully, the 8270 Group was able to save many of the machines and processes from their old cider-making ways as the drink provides a unique smoothness and taste not found elsewhere. I grabbed a half gallon of cider to go with my soon-to-be-purchased bakery treats. The bakery counter woman who assisted me was patient with my indecisiveness and after I finished ordering she carried my things to the checkout counter for me because my hands were full with my baby. When I paid for my goods, the cashier was friendly and pointed out specials they had for the day, which are available depending on what they still have in stock. The buy-one-get-one deals are definitely worth a trip to the store to see what you might be able to score due to an overstock before the end of day. After I paid, another worker carried my things to my car for me. She asked if this was my first child (I definitely look like a novice) and smiled kindly the entire time she assisted me. Basically, the staff went above and beyond to make my shopping experience easy and enjoyable. Even though it was a tough decision to choose what baked goods to try, I managed to pick a nice variety for dinner and breakfast the next day. First, I had to try the apple cider fry cakes. One version was dusted with cinnamon and sugar and the other was glazed. It appeared both cakes had the same cinnamon dough cake that was dense but soft and paired nicely with the cider. I visited the store in the evening so I'd suggest getting there first thing in the morning to enjoy the donuts at their optimal freshness. The donuts I consumed reminded me of having a snack at my grandparent's house where they always had a miscellaneous box (or five) of pastries on their Formica countertops. Overall, they were a great nostalgic treat. My favorite donut was the powdered white cream. Again, the cake was moist but it was a yellow cake donut with more airiness than the others and it seemed baked as opposed to fried. The cream should please donut eaters on both ends of the cream-filled spectrum — those who like thick frosting filling and those who prefer whipped cream. It wasn't overly sweet but still had flavor while avoiding any nasty sugar grit and granulation. I'd call that a win. I also tried out a cannoli because I haven't found one I have swooned over in Erie yet. This treat fulfilled the hole in my heart for a thick cannoli filling. The shell had a good vanilla cookie flavor and the parts that remained crunchy were excellent. The real winner was the filling that had the sweet thickness I prefer in a cannoli's insides, with a slight cheese taste that wasn't the main attraction. In my opinion, this is how a cannoli should be — a dessert that tastes like sweetness and a hug — not like a cheese appetizer with an odd sweet tinge. I would go back for another for sure. 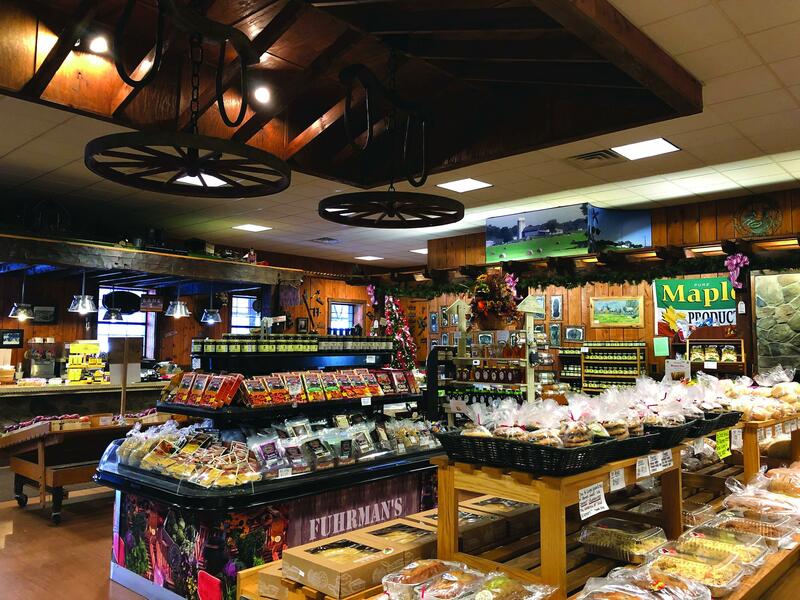 Given the opportunity, I'd make take a trip down memory lane or make some new memories this holiday season by visiting Fuhrman's Cider Mill-Bakery-General Store again. Not only do they have tons of hard-to-find treats, an expansive bakery, and kind employees, if you take I-90 you'll avoid the insanity of the retail giants along Peach Street and enjoy some apples instead.